The U.S.-Mexico Chamber of Commerce (USMCOC) was created by a coalition of distinguished U.S. and Mexican businessmen who understood that the two countries needed a vehicle to improve communications and promote trade, investment and joint ventures on both sides of the border. With the support and leadership of U.S. Ambassadors to Mexico, Robert H. McBride (1969-1974) and Joseph J. Jova (1974-1977); Mexico´s Ambassador to the United States, Jose Juan de Olloqui, and the U.S. Secretary of State, Henry Kissinger and Mexico’s Secretary of Foreign Affairs Emilio Rabasa, The United States-Mexico Chamber of Commerce was constitued in 1973 as a 501(c)(6) nonprofit business association chartered in Washington D.C. Ambassador de Olloqui coordinated a group of prominent business leaders and organizations in Mexico to represent the private sector. That group included Concamin, Canacintra, Canaco, Concanaco, Anierm, Asociacion de Banqueros, Cemai and Coparmex. He simultaneously approached several major U.S. companies with interests in Mexico to participate in this newly-formed binational organization. The U.S companies that were involved during the formation of the USMCOC included Sears Roebuck, the Hoover Company, Goodyear Tire, IBM, Bank of America, Union Pacific, and Southern Pacific Transportation Company. The support of the governments from both countries played an important role in the creation of the Chamber, however one of the Chamber’s strengths is the independency in which it carries its mission. U.S. President Richard Nixon and Mexico’s Presidente Luis Echeverría enthusiastically embraced the organization and open direct communication channels with the Chamber’s leadership, but allowing an independent operation and examination of cross-border policies. David Rockefeller, Chairman of the Board of Directors and CEO of The Chase Manhatt Bank was named the first president of the Chamber’s Advisory Board. 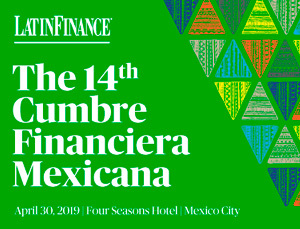 Under this vision the two ambassadors from Mexico and the U.S. would serve as honorary presidents, thus endorsing the Chamber’s binational status and structure and that two binational offices would be set up—one in Washington, D.C. and the other in Mexico City. The USMCOC Bi-National office located in Mexico City serves as the counterpart of the U.S. Washington, D.C. office. These offices serve as the “hubs” of Chamber communications efforts between their respective governments. Likewise, each of these offices is responsible for coordinating/assisting chapter activities in its country. In its early origins, Mexican entrepreneurs were interested in establishing an advocacy effort/educational vehicle to advance Mexico’s interests, i.e. : exports, investment, and immigration issues with the U.S. legislative and executive branches of government. The U.S. Members’ collective interest was in opening up the Mexican economy for their products/services, at the same time eliminating restrictions on foreign investment and trade in Mexico. In the ‘70s and ’80s the state controlled or participated in most industries, i.e. railroads, banks, airlines, steel and movies, to mention a few. The Chamber began to put its vision into action beginning in 1975 by naming Jim Kuhn, former director of Singer Sewing Inc., as its first Executive Vice-President. He was followed two years later by Jay Van Heuven, Governmental Affairs Manager of Caterpillar. Van Heuven kept that position until 1991. In 1993, Al Zapanta, who was the Government Affairs Director for ARCO, succeeded Jay Van Heuven as Executive Vice President and today serves as the President and CEO of the USMCOC. After opening offices in Washington, D.C., and Mexico City, the Chamber focused on establishing regional chapters. The USMCOC inaugurated the Pacific Chapter, based in Los Angeles, in 1980. The Southwest Chapter, headquartered in Dallas, followed in 1987. In 1988, the Mexican Chamber of Commerce-New York City, established in 1921, merged with the USMCOC to become the Northeast Chapter, based in New York City, thus the USMCOC became the longest chamber in existance that has been an advocate for U.S. and Mexico business relations. The coming of the North American Free Trade Agreement spurred continued expansion. In 1993, the Chamber established its Rocky Mountain Chapter in Denver. Later that year, timed to coincide with the U.S. Congressional vote on the North American Free Trade Agreement (NAFTA), the Chamber inaugurated its Mid-Atlantic Chapter in Washington, D.C. In 1994, U.S. Ambassador to Mexico James R. Jones, an Honorary President of the Chamber, inaugurated the Mid-America Chapter, based in Chicago. In 1995 the Chamber inaugurated a Gulf States Chapter in Tampa and Northeast Chapter in Monterrey. 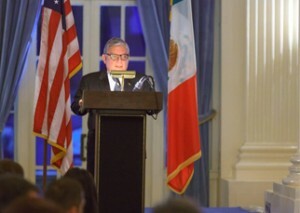 Later the same year Mexico’s Ambassador to the United States, His Excellency Jesús Silva-Herzog, also Honorary President, opened the Northwest Chapter, with offices in Seattle. Ambassador Jones and Mexican Senator Miguel Alemán inaugurated new offices for a Mexico City Chapter in February 1996. In 1997, the Chamber inaugurated its Great Lakes Chapter, headquartered in Detroit and the Inter-American Chapter in Miami. In 1998, through a strategic alliance with the National Chamber of Commerce of Guadalajara, the Chamber established the Pacífico Chapter-Guadalajara. In 1999, the Governor of the State of Aguascalientes, Felipe González and CANACINTRA-Aguascalientes opened new offices for the Aguascalientes Chapter in that State. In the year 2000, President Vicente Fox, former Governor of the State of Guanajuato, inaugurated the Bajío Chapter in León, Guanajuato. In 2001, Governor Tommy Thompson of Wisconsin and Governor Jesse Ventura of Minnesota were opening offices of the Chamber in Milwaukee and Minneapolis respectively. The Mid-West Chapter started operations in Milwaukee in 2002 while the Minneapolis Office was in organization. In 2002, now in his position as Governor of the State of Veracruz, Miguel Alemán, inaugurated the Golfo Chapter at the Port of Veracruz. In 2007 the Chamber opened Chapter offices in three strategic locations within Mexico: Puebla, Cancun, and Querétaro. In 2008 the Las Vegas Chapter in Nevada, the Southeast Chapter in North Carolina and the Fort Worth Chapter in Texas were inaugurated. In 2011, the Houston-The Woodlands-Gulf Coast Chapter was launched. In 2013, the Chamber established the Inter-Mountain Chapter in Salt Lake City, Utah. All chapters and offices, with strong local membership and international contacts, help businesses bridge differences in legal, regulatory and economic systems, as well as language and culture. To further promote stronger bilateral relations, the Chamber established the U.S.-Mexico Cultural and Educational Foundation in 1996. The foundation, a 501 (c) (3) non-profit organization, oversees educational and cultural exchanges designed to develop business leaders of the future, infuse practical business knowledge into the academic realm and foment understanding between the neighboring countries, such as the “Buen Vecino Internship Program”. The organization’s mission is to promote business between the United States and Mexico.